Subject: Minutes of the meeting held on 28.5.2013 with the representatives of Staff Side, National Council (JCM) on pensionary matters. The undersigned is directed to enclose herewith a copy of minutes of the meeting held on 28.5.2013 with the representatives of the Staff Side, National Council (JCM) on pensionary matters under the Chairmanship of Secretary (Pension, AR&PG) in room No. 310, Lok Nayak Bhawan, Khan Market, New Delhi for information/necessary action. Secretary (Pension, AR&PG) chaired a meeting with the representatives of Staff Side, National Council (JCM) on 28.5.2013 to discuss various issues relating to pension and other retirement benefits. The list of participants is at Annexure – I. Secretary (Pension, AR&PG) welcomed the participants and appreciated the contributions of the pensioners in the overall development of their respective organisation. (i) Ex-gratia payment to SRPF/CPF beneficiaries who retired other than on superannuation, i.e. voluntary retirement and medical invalidation cases. Department of Expenditure has given clearance for deletion of clause of ‘c’ of para 2 of OM dated 22.3.2004 which prohibits grant of ex-gratia payment to those, who retired from service other than on attaining the prescribed age of superannuation. With this, CPF beneficiaries who have retired voluntarily and on medical grounds after 20 years of service will also be granted ex-gratia. It was decided that this agenda item will be closed after issue of a revised OM by the DOP&PW. Ministry of Railways will also issue similar orders. (ii) Raising quantum of ex-gratia to CPF retirees on the lines of SRPF. The latest status of the case was intimated to the JCM. After the issue of orders by this Department, consequent to the decision of Cabinet the item may be dropped. 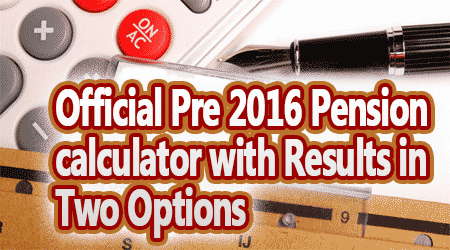 (iii) Abnormal delay in the issue of revised PPO to Pre – 2006 retirees, pensioners / family pensioners. (i) It was intimated that the Department had taken the following initiatives like (a) allowing change in date of birth of spouse, (b) use of certain documents as proof of date of birth of spouse, (c) inclusion of present postal address and mobile and telephone number in the life certificate (d) use of e-scroll for extracting information from banks’ database. (e) revision of PPOs even in cases where date of birth/age of spouse is not given in the PPO or this information is not available In the omce records for speedy revision of PPOs. (ii) As a result, the number of pending revision cases for civil pensioners has come down from 2,54,467 in August, 2012 to 74,000 as on April, 2013 as per information given by the CPAO on the basis of e-scrolls. (iii) However, amendment in calculation of revised pension, vIde OM dated 28.1.13, has necessitated issue of revised authority in all cases, as indicated in OM dated 13.2.13. Secretary (Pension, AR&PG) stated that record/information of many pensioners are not available with the Departments, which is hampering further progress and the Pensioners Associations should come forward to help the departments in reaching out to the pensioners/family pensioners. He further stated that Secretaries of various Departments have been requested to review the issue of revision of PPO in the fortnightly/ monthly meetings. Railways stated that in case of pre 2006 pensioners advertisement has been issued. Matter was taken up with RBI to issue notification to all banks. Out of 10.89 lakh such cases, 5.46 have been issued revised PPOs. Meetings ere generally held at various levels. 30th September, 2013 has been set as the target date for disposal of these cases. The progress is being reviewed every month. It has also been decided to take up the revision of PPOs suo-moto rather than waiting for an application from the pensioner. The said letter is under issue. Secretary (Pension, AR&PG) desired that the same may be issued by 15th June, 2013.Secretary, Pension des,red that necessary chances in systems may be made if that would facilitate the pension sanction and payment processes in the Raliways. The present pension authorisaton is decentralised In the Railways. Secretary, Pension also stated that he will write to the Chairman, Railway Board in this matter. CGDA, Ministry of Defence intimated that they hope to complete the exercise by 30th September, 2013. (iv) Fixation of Revised Pension (1/3rd of commuted portion of pension) in respect of Government servant who had drawn lump sum payment on absorption – revision by multiplying pre revised 1/3rd pension by a factor of 2.26. CAT, Hyderabad Bench, vide its order dated 22.4.2013, has directed, to pass an order for revision of pension of absorbee pensioner’s. The Staff Side was informed that the matter was under examination in consultation with Department of Expenditure. (b) Restoration of commutation period to be reduced from 15 to 12 years. It was explained that the matter of revision of old/new commutation table was discussed with Department of Expenditure. 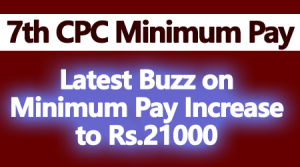 It was observed that this issue should be considered by the next pay commission. 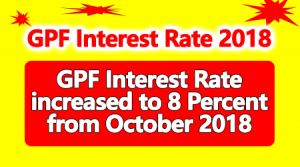 JCM intimated that by the new commutation table, the restoration of the commuted portion is completed by 11 years because interest rate is at 8% unlike the old table wherein the restoration period was after 15 years because interest rate was taken at 4.75%. Department of Expenditure stated that issue for this old/new commutation table can be studied only by a specialised body and hence could be looked into by the IRDA. However, these are larger issues for which a holistic view needs tobe taken by a body like the Pay Commission. However, the matter may be referred to Department of Expenditure. (vi) Family pension to divorced/Widowed/Unmarried daughter of a Government Servant. Difficulty faced by them in getting family pension sanctioned. JCM did not raise any specific point in this regard. In fact, it was mentioned by the JCM members that the legal view on the issue of nomination of life time arrear of family pension is that since he/she has not earned the family pension he/she also can not have the right to nominate. As such, the matter may be dropped. (vii) Payment of arrears of pension/family pension on account of revision of pension/family pension with effect from 1.1.2006. Specific case of bank In Chandrapur. It was informed that the matter was taken up with CPPC, Mumbal (SBI), who informed that the payment to pensioners is being made and there is no such case where pension has not been revised as per 6th CPC. Hence the matter may be dropped. CPAO has informed that necessary instructions in this regard have been issued to all CPPCs with the direction to bring the contents to the notice of all paying branches. CPAO was requested to give a copy to the JCM. It was decided to drop the matter. 3. The representatives of JCM also desired the status of eight agenda items sent by Shri Shiva Gopal Mishra, General Secretary, AIRE which were not included may also be intimated clearly. This may be informed to him separately. 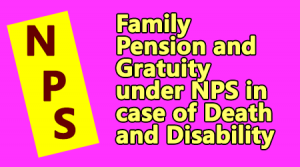 (i) Equitable Gratuity under Rule 50 of Pension Rules. Slabs are too wide leading to disparity. Rule 50 of Pension Rus provide the following death gratuity to the family of the deceased Government servant. 2 One year or more but less than 5 years 6 times of emoluments. 3 5 years or more but less than 20 years 12 times of emoluments. 4 20 years or more Half month of emoluments for every completed six monthly period of qualifying service subject to a maximum of 33 times of emoluments. 3(i) 5 years or more but less than 11 years 12 times of emoluments. This issue was discussed in the JCM meeting. The present slab of death gratuity was introduced w.e.f. from 1.1.1986 and was introduced as per the recommendations of 4th Central Pay Commission, vide this Department’s OM No. 2/1/1987-PIC-II dated 14.4.1987, This slab has not been revised since 1986. In between, the 5th and 6th Pay Commission had submitted their reports but no revision had been recommended. After discussions, it was decided that the matter may be examined in consultation with Department of Expenditure. (ii) Extension of CS (MA) Rules, 1944 to Central Government Pensioners residing in non-CGHS areas. The Staff Side demanded that as in the case of serving employees, the CS (MA) Rules may be extended to the pensioners also. This would make pensioners in the non CGHS areas entitled for reimbursement of medical expenses. Staff Side also mentioned that Honble Supreme Court has dismissed some SLPs and allowed reimbursement of medical examination of pensioners, in accordance with CS (MA) Rules. The representative from Ministry of Health informed that the proposal for extension of CS (MA) Rules 1944 to Central Government pensioners was not agreed to in view of huge financial impliations. In regard to the dismissal oF SLP flied by Department against order of courts/tribunals for grant of medical benefits irn individual cases, Ministry of Health has flied a review petition in Supreme Court. It was also informed that Ministry of Health is contemplating Health Insurance Scheme on pan India basis keeping special focus on the non CHGS areas. This Is expected to solve the problems of pensioner’s living in non CGHS areas. The item was treated as closed. (iii) Grant of modified parity with reference to the Revised Pay Scale corresponding to pre revised Pay Scale of the post from which an employee had retired — upgraded pay scale Instead of normal replacement scales. The JCM suggested that upgraded revised pay scales may be notionally extended and used for pension fixation instead of normal replacement scales. It was informed that after the 5th Pay Commission also modified parity was allowed with reference to replacement pay scales and not with the upgraded pay scales. This decision of Government was also upheld by Supreme Court in its judgement dated 23.11.2006 in the CA No. 3173-3174/2006 & 3188-3190/2006 (K. S. Krishna Swamy Vs. UOI). In the 6th CPC the same principle has been followed in view of the above. It was informed that it would not be possible to reopen this issue.Therefore, the Ítem may be closed.